Our Founder — Frank J. McCoy Sr.
Born on December 21, 1922, founding attorney Frank J. McCoy Sr. graduated with the Milford High School’s Class of 1940 before moving on to serve as a sergeant in the United States Army. 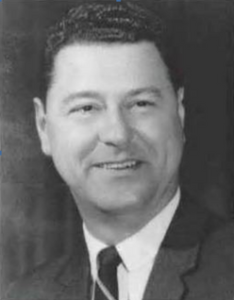 After three years in the European theater during World War II, Frank Sr. returned and attended Yale University for an undergraduate education, moving on to earn his legal degree from University of Connecticut School of Law in 1956. He practiced law for 54 years, participating in the formation of the Town of Vernon as the attorney for the Vernon Fire District as it consolidated with the City of Rockville. He served on the Vernon Town Council for two terms before serving as four-term mayor of Vernon in the ’70s and ’80s. 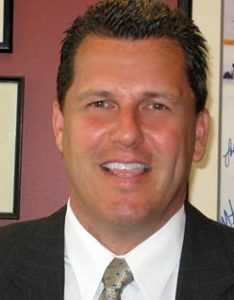 For more than 30 years during his legal career, Frank Sr. served as attorney representative on the advisory review board for the Whiting Forensic Institute as well as president of the Connecticut Conference of Mayors. Additionally, he held the position of a service officer with the Soldiers, Sailors, and Marines Fund for more than 40 years and in 1960, he created the impetus that brought football into Rockville High School with the formation of the Vernon Midget Football League. In addition to his legal and professional career, he coached local sports in Vernon for more than 40 years, including basketball, baseball and football. In 1965, he helped create and sponsor the Vernon Orioles baseball team, which play in the Hartford Twilight League to this day. Please read on for more information and an obituary of Frank J. McCoy Sr.